A special Thank you to TLC Book Tours for sending me this book to review. When she decides to auction her remarkable jewellery collection, Nina Revskaya, once a great star of the Bolshoi Ballet, believes she has drawn a curtain on her past. Instead she finds herself over­whelmed by memories of her homeland and of the events that changed the course of her life half a century before. 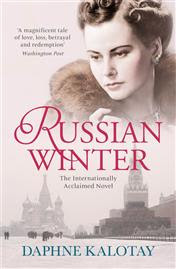 It was in Russia that she discovered the magic of the theatre; that she fell in love with the poet Viktor Elsin; that she and her dearest companions, Gersh, a dangerously irreverent composer, and the exquisite Vera became victims of Stalinist aggression. And it was in Russia where a terrible discovery led to a deadly act of betrayal. Now living in Boston, Nina has hidden her dark secrets for half a lifetime. But two people will not let the past rest: Drew Brooks, an in­quisitive young associate director at the Boston auction house; and Grigori Solodin, a Russian professor who believes that a unique set of amber jewels may hold the key to his own ambiguous past. Together, these unlikely partners find themselves unravelling a literary mystery whose answers will hold life-changing consequences for them all. My mother was a dancer. My uncle is an even better dancer and had a dancing career. He now teaches at the University of Florida. He's kind of a big deal. I started dancing at age 3 and stopped as a teenager. I've always loved dancing though. I've always loved the ballet, so this book really had appeal with me. There is plenty of action, drama and intrigue here! It's a fascinating story. The narrative set in 1950's Moscow was my favorite. I enjoy anything historical. The book is about ballet, love and jealousy. Yet there is suspicion and constant danger here. There is a mix of about everything!! The ballet made for an interesting setting. I didn't enjoy the present day part of the story as much as going back in time. Those parts of the story is where my heart went. If you're looking for something different than what you've been reading or want to get out of a reading funk pick up this beautiful debut! You certainly come from a dancing family! I wish I'd learned to dance as a child - it seems like something you need to learn early on in order to be comfortable with it. I hadn't heard of this one - but it sounds so intriguing! I'm definitely going to check it out on Goodreads. This sounds like a book I would really enjoy. I really like historical romances...and I danced a bit in my youth (WAY long ago, lol). I've put this on my list.